This is the best Jurassic Park movie since the first one, and even though it’s a true sequel, is very much a reboot of the first movie. 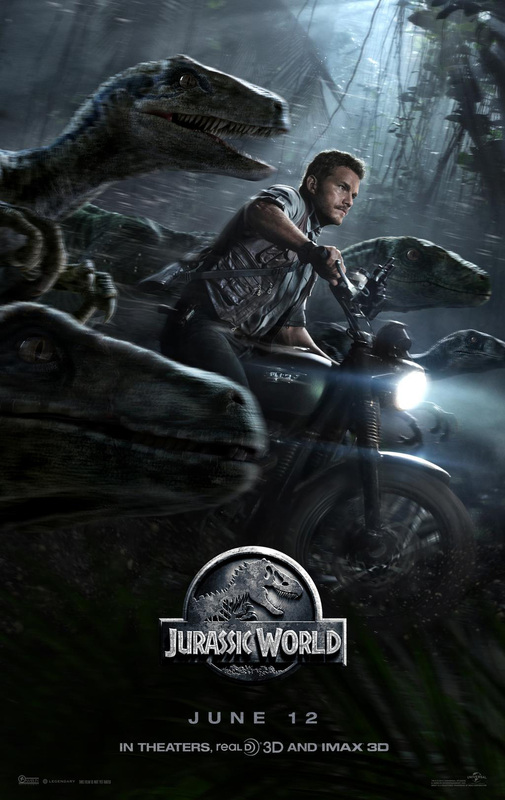 Chris “Star Lord” Pratt is charming as the ex-navy man turned Velociraptor trainer Owen, the hero of the story. His love interest Claire, played by Bryce Dallas Howard (Victoria in the second Twilight movie) is also the head of the now fully operational theme park. The chemistry between Pratt and Howard is good, their relationship well written. The script is solid, effects are fantastic, and pace is intense. Like the original, there is an eccentric billionaire who pays the bills, a scheming villain, played by Vincent “Fisk” D’Onofrio, and two children, Claire’s nephews, who get more than they bargained for on their vacation. There are a couple of nice hat tips to the first film, including the return of Dr. Henry Wong, a character in the original movie, and the discovery of the original park in an overgrown area of the island. All in all, this is a great film. This entry was posted in movies and tagged Bryce Dallas Howard, Chris Pratt, jurassic park, jurassic world, movie, review, Vincent D'Onofrio. Bookmark the permalink.